Tretinoin is the acidic form of vitamin A. It is also known as ATRA or all-trans retinoic acid. It is most commonly used to treat acne and other inflammatory skin conditions. It most commonly comes in gel or cream form and is sold under name brands such as Retin-A, Airol, Aberela, Renova, and Stieva-A. It is also sold by Roche under the brand Vesanoid and is used to treat acute promyelocytic leukemia. 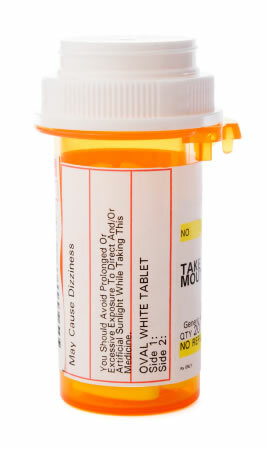 It is also available as a generic through many pharmacies. The most popular use for tretinoin is as an acne treatment. It is also used as a treatment for photoaging, wrinkles, scars and other skin conditions. Some forms are available as a hair loss treatment. Tretinoin is also known to increase collagen production in the dermis, which minimizes the significance of stretch marks. It treats acne, dark spots and wrinkles by lightening skin, shedding old skin cells and regenerating new skin that is healthy, clear and smooth with tight pores that have regulated oil production. For most dermatological uses, tretinoin is distributed as a prescription gel or cream. Common dosages are .025% or .050%. Due to the fact that tretinoin makes skin extremely sensitive and thin during the first several weeks of use, dermatologists will typically prescribe the lowest possible dosage to patients and gradually increase it as needed. The first several weeks of using a tretinoin cream are often unpleasant and will make skin look worse than it did in the first place, but the key is to continue use even through the unpleasant side effects in order to effectively treat skin and see significant, worthwhile results. Patients may also start off using tretinoin every other day or even every third day until skin adjusts and can gradually handle larger amounts of the prescription. It is also important for patients to use as thin a layer of tretinoin cream or gel as possible. A little of this product goes a long way, and using a small amount allows the solution to quickly absorb into skin rather than sit on top of it. Patients using tretinoin should also follow a strict and consistent cleaning regimen for their skin. For cleansing, an unscented, mild facial wash is ideal. Using a face brush or wash cloth will also help slough away dead or flaking skin that may result from using the product. Patients should also use a light moisturizer during the day with SPF 15 or higher in it. A night time moisturizer may also be applied over top of the tretinoin to prevent dryness or irritation. Tretinoin is typically only applied once a day before bed, as light and ultra violet radiation tend to deactivate the active ingredients in the product, causing it to be ineffective and increase the chance of a severe sunburn. Studies have shown that young adults who used tretinoin as an acne treatment had less wrinkles or age spots later in life due to the regeneration of new, healthier skin and regulated oil production. Tretinoin is a popular solution to anti aging as it has shown to significantly slow the aging process. Some patients experience severe side effects that cause more than the average irritation that typically occurs. If this is the case, tretinoin may not be the right product and other alternatives will most likely be considered. Many acne patients will go through several products before determining what is best for their skin type. Accutane is an oral acne treatment that is an extremely high dose of vitamin A, similar to tretinoin. Accutane is taken for severe nodular acne and is a last resort treatment if several other alternatives have been attempted with no success. It is typically taken for 6 months and will never have to be taken again after this time period. The first several weeks or months of taking the drug are often unpleasant for patients as it causes extremely dry skin, eyes and mouth, but the temporary side effects of the drug are considered to be worth the sacrifice in order to clear up acne that causes a lowered quality of life. Accutane is a controversial drug as it poses severe side effects including depression, inflammable bowel syndrome, or even suicidal thoughts. It also causes a risk of serious birth defects, and women taking the drug must sign paperwork stating they will use at least two forms of birth control while taking the drug. 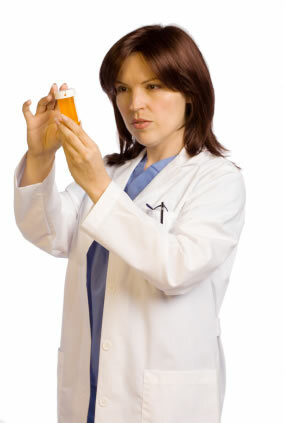 Accutane patients must also become part of the iPLEDGE program, which educates patients on all potential side effects, holds them to a contract stating they will not become pregnant or cause pregnancy while on the drug, and gives them a patient identification card so they can access the drug from a primary pharmacist. 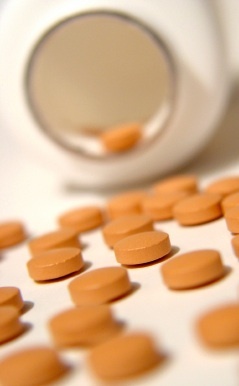 Accutane patients must not take any other vitamin A supplements while taking the drug. Several lawsuits have come about as a result of long-term illnesses or conditions caused by taking Accutane. Due to the education provided to patients regarding the risk involved with taking the drug, court cases regarding health issues caused by Accutane rarely end with the patient receiving any financial or medical benefit. The drug is highly effective in permanently clearing up acne and patients who follow guidelines and continue to take care of themselves rarely have any negative side effects. Tretinoin is also used to treat acute promyelocytic leukemia, a cancer affecting the blood and bone marrow. This is the only form of cancer it is used to treat. It is usually mixed with a variety of other drugs to help grow blood cells that are functioning properly, thus overpowering the weak blood cells that cause leukemia. 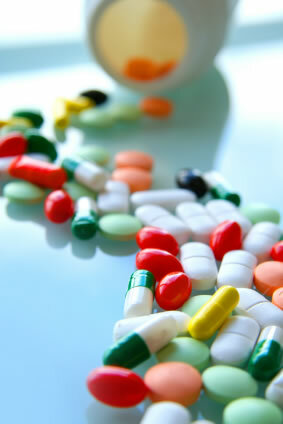 The typical dosage for a leukemia patient is 8-10 10mg capsules a day for 15 days. This is done about every 3 months until the cancer is cleared. The exact scientific conclusion regarding how tretinoin works and how it causes cells to mature and multiply is still unknown. Patients who are taking tretinoin as a form of leukemia cancer treatment should notify their doctor if they have high cholesterol or have taken a tretinoin or high vitamin A product in the past. Those who have had negative effects as a result of vitamin A should also avoid taking it for this reason. One of the most important factors for leukemia patients taking tretinoin as a treatment is that they avoid taking any sort of vitamin A during the process. Excessive amounts of vitamin A are dangerous and toxic. Even after the use of tretinoin as a cancer treatment, patients may be advised to avoid taking any vitamin A supplements for a long period of time. Large amounts of vitamin A will potentially stay in the system long after treatment has been completed. Those who use tretinoin to treat skin conditions often experience scaling, itching, burning, redness or other irritation. Because of this, most dermatologists prescribe the lowest possible dosage of tretinoin to a patient and gradually increase the dosage as their skin adapts to the excessive amounts of vitamin A. It is also integral for patients using tretinoin on their skin to avoid direct sunlight, as it significantly increases the risk of extreme sunburn. It is also important for dermatology patients to avoid hair removal procedures such as waxing or laser treatments while using any tretinoin product. The top layer of skin will become very sensitive and most likely come off right with the hair due to thinning and extra sensitivity. If patients using tretinoin use some sort of regular hair removal technique, it is important that they consult their dermatologist or aesthetician to determine whether or not they should discontinue the hair removal process while using the drug. Leukemia patients will also experience side effects while taking large amounts of tretinoin. Retinoic acid syndrome is often developed by patients taking the drug, and can be potentially life threatening if a follow up treatment is not given immediately. The syndrome leads to fever, weight gain, peripheral edema or dyspnea. Retinoic acid syndrome is also known to cause capillary leak syndrome, a rare condition where the size and quantity of pores within the capillaries are enlarged, causing leakage from the blood into interstitial fluid. This may cause dangerously low blood pressure and even organ failure. Side effects of this condition include nausea, abdominal pain, hypotension or even cardiopulmonary collapse. Tretinoin is a teratogen, which is a category of drugs that cause birth defects, particularly skull abnormalities in fetuses and infants. Pregnant or nursing women are not advised to use any type of tretinoin during their pregnancy, nursing period or time when they are trying to get pregnant. Topical tretinoin, particularly gels and creams, are the safest form to use during pregnancy or nursing, as birth defects caused as a result of use are extremely low and almost nonexistent. Many side effects caused by tretinoin or vitamin A treatments do not appear in patients for several months, or even years after the treatment has been completed. Due to the fact that some side effects show up so late, it is sometimes unknown as to whether or not they were caused by the tretinoin treatment or for an entirely different reason. Long term effects are typically caused by oral tretinoin treatments rather than topical treatments used for skin conditions. In 2002, the European Respiratory Journal published information about a study suggesting that tretinoin reduced emphysema in lab mice by regenerating lung tissue and increasing elasticity in tissue and skin. However, a follow up study was done in 2006 which found inconclusive results that showed no significant or clinical benefit in mice infected with emphysema. It is still out that additional research must be done in order to consider tretinoin or other vitamin A treatments as a treatment for emphysema. A vitamin is a natural substance that is required by the human body in order for it to grow and develop. Vitamins provide a source of energy that is used for metabolism in the body as well as promote health by the prevention of certain illnesses. Vitamins are made up of chemical elements that must be obtained from food. It is essential, therefore, that the human diet contains a blend of foods that will provide vitamins in order to maintain a healthy status. Vitamins are categorized as two different kinds: fat soluble, which are stored in body tissues, and water soluble. The water soluble vitamins are also known as the B-complex vitamins as well as vitamin C. These water soluble vitamins are not able to be stored within the body and are excreted after a short period of time. Therefore, in order to maintain adequate levels of water soluble vitamins, they must be replenished daily in the diet. Eating a diet of certain foods that contain B-complex vitamins as well as vitamin C will promote adequate nutrition and will provide the benefits of health and protection against many diseases. When a person eats food that contains water soluble vitamins, it passes through the stomach and into the small intestine where the vitamins are absorbed and distributed throughout the body through the blood stream. The exception to this is vitamin B12, which requires the presence of intrinsic factor, a substance produced in the stomach that allows for absorption in the small intestine. Without intrinsic factor, the body cannot absorb vitamin B12. After absorption, water soluble vitamins are only of use in the body for their necessary tissues and, if too much is available, the body will excrete the excess. Water soluble vitamins eventually are excreted either through the urine or feces, requiring replacement vitamins daily. Vitamin B1 is also referred to as thiamine and was one of the first B-complex vitamins discovered for its nutritional properties. Thiamine is found in many foods, particularly in grains such as whole wheat and oatmeal; fruits and vegetables, such as asparagus and oranges; and seeds, such as flaxseed and sunflower seeds. Many grains, in particular those found in white bread, are required to have thiamine added as part of an enrichment process in order to replace any that may have been lost. The recommended daily allowance of thiamine is 1.4 milligrams, although taking in more than this amount has not been shown to have adverse effects. Because thiamine is frequently found in many foods, a deficiency of this type of vitamin is typically associated with other illness that results in a person being unable to acquire the needed amounts of the vitamin. Situations such as gastrointestinal illnesses that may inhibit the absorption of thiamine may lead to a deficient state. Alcoholism can also result in a thiamine deficiency, as the affected person may have insufficient nutrition and vitamin intake. Alcoholism, when severe, can impair the body’s ability to absorb thiamine from the gastrointestinal tract as well as impairing liver function. There are two main diseases associated with a deficiency of Vitamin B1. The first is beriberi, which is classified as being either wet or dry. Wet beriberi may affect the cardiovascular system by causing symptoms of rapid heart rate, swelling in the extremities, and shortness of breath. The symptoms of wet beriberi can be similar to those of congestive heart failure. Dry beriberi affects the neurological system and symptoms include confusion, numbness and tingling of extremities, paralysis, difficulty with motor coordination and walking, pain, and involuntary eye movements. Treatment is aimed at replacing the thiamine deficiency, which provides rapid relief of symptoms. Severe damage may be irreversible, even with proper vitamin supplementation. Wernicke’s encephalopathy (also referred to as Wernicke-Korsakoff syndrome or alcoholic encephalopathy) is a condition of thiamine deficiency that eventually causes damage to the brain, resulting in neurological symptoms. It is associated with alcoholism due to the number of patients seen with the illness as a result of heavy drinking. Symptoms include difficulty with walking and motor coordination, memory loss, hallucinations, and involuntary eye movements. The condition is treated by giving thiamine, which will reduce symptoms but may not reverse neurological damage, such as memory loss. Vitamin B2 is also called riboflavin and is available in many foods. Many people choose to take a vitamin supplement to increase the amount of B-complex vitamins they are receiving daily in order to promote health. The recommended daily allowance of Vitamin B2 is 1.1 to 1.3 milligrams. Riboflavin has been shown to reduce cataracts and migraine headaches in some patients, as well as help with symptoms of anemia. Riboflavin is an antioxidant and works as a protector within the body, destroying free radicals that work to slow growth and development or that may cause cancer. Riboflavin is found in whole grains and yeast; vegetables, such as broccoli and spinach; and dairy products, such as milk, yogurt, and eggs. Riboflavin deficiency results in a condition called ariboflavinosis, which most commonly occurs with those that have a diet lacking in sufficient nutrients. Ariboflavinosis typically occurs in conjunction with other vitamin deficiencies, so for the person lacking riboflavin, there may be other vitamin insufficiencies as well. Ariboflavinosis can also occur in persons suffering from alcoholism, as alcohol can be destructive to the gastrointestinal tract, preventing its ability to absorb the vitamin. Symptoms of ariboflavinosis are red and cracked lips; cracking at the corners of the mouth; sensitivity to light; itchy, watery eyes; ulcers in the mouth; and dermatitis. Treatment of the condition includes increasing the amount of Vitamin B2 in the diet, or in severe cases, riboflavin supplements in vitamin form. Vitamin B3 is typically called by the name niacin. Niacin is found in many foods and a deficiency is uncommon, except in extreme cases of malnutrition or alcoholism. 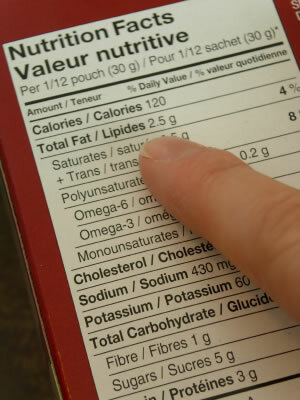 Niacin is added to many cereals and breads as a fortifier to add amounts to the diet. The recommended daily allowance of niacin is 14 to 16 milligrams daily. Niacin works to help the body’s circulatory system and can improve cholesterol levels. It has been used to treat high levels of triglycerides and LDL cholesterol. It is also beneficial in reducing atherosclerosis, which is the buildup of fatty tissue within the blood vessels. Niacin is found in meats such as chicken, beef, or fish; dairy products, such as milk and eggs; vegetables, such as broccoli, carrots, and asparagus; as well as mushrooms and yeast. Lack of niacin in the diet is unusual in developed countries where diets are fortified and complete. A niacin deficiency causes a condition called pellagra, a disease that if left untreated, will result in death. Symptoms of pellagra include difficulty walking and problems with motor coordination; diarrhea; inflammation of the skin; hair loss; a red, swollen tongue; skin lesions; weakness; and cognitive changes. Treatment is available through measured doses of niacin to control toxicity. Vitamin B6 is one of the B-complex vitamins that is frequently found in foods, although deficiencies in this vitamin have been seen in the elderly or in children with unbalanced diets. Vitamin B6 is also called by its lesser known name, pyridoxine. The recommended daily allowance of vitamin B6 is 1.3 to 1.7 milligrams, depending on age. Vitamin B6 is responsible for building up some of the neurotransmitters in the brain that contribute to elevated mood and decreased depression. For this reason, it has been used in the treatment of some mood disorders as a supplement. Vitamin B6 also is helpful in reducing cardiovascular disease in the body and maintaining good heart health. Finally, it is an essential component of the absorption of Vitamin B12 by the body and the two vitamins work closely together for health maintenance. Vitamin B6 is found in many foods, including poultry and fish, such as chicken, turkey, and shrimp; grains, such as whole wheat and wheat germ; vegetables, such as carrots and spinach; and dairy, such as milk and eggs. A deficiency of vitamin B6 is rare, but can be seen in patients with medical conditions, such as those undergoing dialysis. Vitamin B6 deficiency used to be seen more commonly as a pediatric illness, referring to the lack of the vitamin received by infants eating certain types of formula. The condition is rare today with the fortification of most infant formulas in the United States. Symptoms of vitamin B6 deficiency include red, chapped lips; skin rash; inflammation of the tongue, with mouth ulceration; and conjunctivitis. A mild form of the illness may result in symptoms of depression, related to the vitamin’s effect on serotonin in the body, a neurotransmitter that stabilizes the mood. Folic acid is probably best known for its essential supplementation needed for women that are pregnant. Folic acid assists the body in the development and growth of tissues and body systems, particularly during infancy and childhood. It also facilitates the growth of a fetus during pregnancy and can lessen the risk of certain birth defects that may form during gestation. Folic acid provides stability for mood function and cognitive abilities and contributes to overall mental health. The recommended daily allowance of folic acid is 400 micrograms per day, with an increase to 600 micrograms per day recommended for women that are pregnant or that are planning to become pregnant. Folic acid is found in a variety of foods, particularly in vegetables, such as spinach, asparagus, Brussels sprouts, and beans; orange juice; milk; and whole grains. Most breads and cereals are fortified with this vitamin to provide added supplementation for the diet. A deficiency in folic acid can occur in those with an unbalanced diet, or persons suffering from a medical disorder that disrupts absorption of vitamins within the gastrointestinal system. Folic acid deficiency is characterized by a sore tongue and inflammation of the gums; diarrhea; loss of appetite; and depression. Women that are deficient in folic acid during pregnancy have a greater risk of having a baby with a neural tube defect, which includes the areas of the brain and spinal cord. Types of neural tube defects include spina bifida, meningocele, and cleft lip and palate. Supplementation of folic acid is particularly important for the woman considering pregnancy, as the structures of the brain and spinal cord develop in the early weeks of gestation, possibly before a woman may know she is pregnant. Vitamin B12 is important in the regulation of nerve centers within the body: those that are responsible for connection between the brain and motor coordination, as well as stabilization of mood. Vitamin B12 is also responsible for adjusting the body’s immune cells, which can keep a person healthy. It works alongside folic acid to control the creation of red blood cells, providing needed oxygen to all parts of the body. Vitamin B12 is absorbed in the stomach by stomach acid, and it is found in foods that come from animals, namely beef; poultry; fish; eggs; and milk. Its recommended daily allowance is 2.4 micrograms. 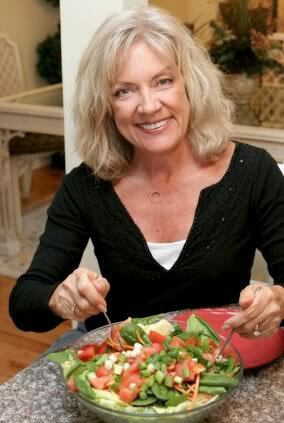 A deficiency in vitamin B12 can occur with those that eat unbalanced diets, people with a medical illness that causes malabsorption of vitamins, and those that do not eat meat or dairy products. Since stomach acid is needed for the absorption of vitamin B12, the elderly are also at increased risk of deficiency, as stomach acid reduces in amounts as the body ages. Symptoms of vitamin B12 deficiency include shortness of breath; numbness and tingling of the extremities; fatigue; and diarrhea. Symptoms of mild vitamin B12 deficiency may go unnoticed for a period of time until severe. Untreated, severe vitamin B12 deficiency can cause cognitive changes and damage to the neurological system. Pernicious anemia is a condition characterized by the body’s inability to absorb vitamin B12. Persons with this illness must take regular supplements of the vitamin, usually in the form of injection daily, in order to retain an adequate amount in the body for proper functioning and to avoid permanent damage. Biotin has also been referred to as Vitamin H, and is a necessary component for strength in finger and toenails, skin, and hair. This vitamin is also needed for development during pregnancy, making it an essential vitamin required for proper growth of a fetus. Biotin can be found in several foods in small concentrations. It is commonly found in eggs (cooked); nuts, such as walnuts, peanuts, and almonds; legumes and beans; mushrooms; and bananas. The recommended daily allowance of biotin is 30 micrograms daily for adults. A deficiency in biotin is uncommon, as the necessary amounts needed for health are considered low in comparison with many of the other water soluble vitamins. 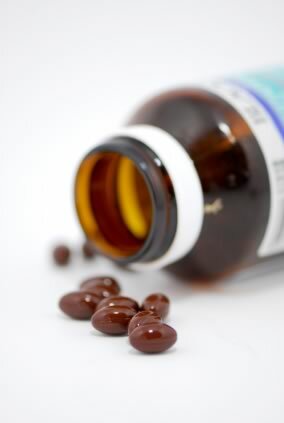 Biotin may be produced by some intestinal flora found in the body in situations where a deficiency may occur. 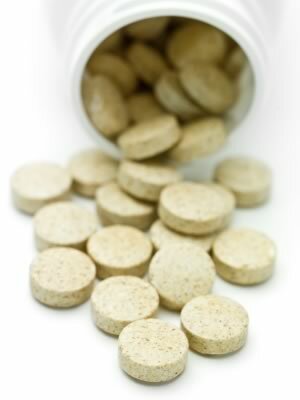 Nevertheless, there are some circumstances that cause biotin deficiency in certain populations. Persons that eat egg whites over a long period of time can develop a deficiency in the vitamin. Biotin is available in cooked eggs as part of the yolk, but when raw, egg whites have a substance called avidin that does not allow the body to absorb biotin. People that take certain antibiotics or anticonvulsants may be at risk for developing biotin deficiency, as these medications may inhibit the body from absorbing the vitamin. Symptoms of biotin deficiency include changes in the texture of hair and hair loss; dry, rashy skin; fungal infections; depression; numbness and tingling of the extremities; and cognitive changes. The condition is treated with biotin supplementation. Vitamin B5, also called pantothenic acid is extremely common as a vitamin in many sources of food. It is needed for control of cholesterol and triglycerides in the body, to reduce the occurrence of atherosclerosis in the blood vessels. Pantothenic acid has also been known to help the body manage stress and it has been shown to be of some benefit for those suffering from the effects of rheumatoid arthritis. It is found in a large number of foods, although some processing methods may reduce the amount of the vitamin. Vitamin B5 is found in meats, such as chicken, beef, and duck; beans and legumes; vegetables, such as corn, broccoli, avocado, and sweet potatoes; nuts and seeds, such as peanuts and sunflower seeds; whole grains; yeast; and milk. The recommended daily allowance for pantothenic acid is five milligrams. Symptoms of pantothenic acid deficiency are very rare and usually occur within populations that are extremely malnourished. Symptoms include depression and fatigue; abdominal pain; vomiting; and irritability. The condition is treated with an adequate diet or supplementation when necessary. Also known as ascorbic acid, vitamin C is a necessary element in many functions of the body. Vitamin C is responsible for the production of collagen in the body, a substance that is the foundation of ligaments and tendons; skin; and blood vessels. It also helps the body during the healing process, so that wounds and injuries heal more quickly. Vitamin C is found in many foods, and is well-known as a substance in a variety of citrus fruits. Lemons, limes, grapefruit, and oranges are all sources of the vitamin. It is also found in vegetables, such as peppers, tomatoes, squash, cabbage, broccoli, and spinach; and other fruits, such as pineapple, blueberries, cranberries, strawberries, raspberries, and kiwi. The recommended daily allowance of vitamin C is 75 to 90 milligrams. Mild vitamin C deficiency can be common among children, the elderly, and those that do not consume adequate amounts of fruits and vegetables. Cigarette smokers are also at increased risk of vitamin C deficiency as the ingredients of cigarette smoke reduce the amount of the vitamin within the body. Symptoms of mild vitamin C deficiency include dry skin, nosebleeds, bruising easily, and brittle hair. Severe deficiency of vitamin C causes a condition known as scurvy, which is rarely seen in developed countries today. Historically, scurvy was often seen in sailors that travelled for weeks by boat without fresh fruits and vegetables in their diets. The disease was eventually treated by stocking limes as a part of the food sources on each voyage, thereby reducing the amounts of the illness among that population. The disease can be very severe and will lead to death if left untreated. Symptoms of scurvy include all of the listed signs of mild vitamin C deficiency. In addition, bleeding and soft gums; loss of teeth; pallor; bleeding; slow wound healing; depression; and paralysis are all associated with the disease. Forty percent of all Americans take their morning vitamins as regularly as they brush their teeth, convinced that these supplements will put a sparkle in their eye, a bounce in their walk and make up for the fact that their dietary intake over the last 12 hours has included a giant Whopper dripping with grease and a 13 ounce bag of potato chips. But will they? Then there are people who are, perhaps, overzealous about their nutritional status. They take multivitamins too, and they also consume nutrition bars, health drinks, herbs, supplements and mega-doses of single vitamins in such quantities that medical researchers worry they may harm themselves. While multivitamins do supply essential nutrients, medical experts agree that the best source of those nutrients is healthy food. If you are a nonsmoker who eats a balanced diet and exercises regularly, chances are you don’t need to take multivitamins on a regular basis. Doctors continue to recommend multivitamins for people whose lifestyle choices, overall health status or medication regimen make it difficult for them to absorb the nutrients in their food properly. Aging, for example, reduces the body’s ability to absorb vitamins like B-12 and D; for that reason, physicians recommend that people over 60 take multivitamins. But even the practice of prescribing prenatal vitamins for all expectant mothers has fallen under scrutiny recently: there is some evidence that these supplements continued into the third trimester can lead to a rise in premature births while Vitamin A has been linked to birth defects. If you and your physician decide that a multivitamin is right for you, keep in mind that the inexpensive kind on your pharmacy or supermarket shelf is just as good as the boutique brand you find in the health food store. Read the labels carefully: information should include the dose of each vitamin and what percentage that dose is of the recommended daily dosage. Avoid megadoses: your daily intake should match the government’s Dietary Reference Intakes (DRI) and never exceed the upper limit (UL). Dosages will be listed as milligrams (mg), micrograms (mcg), or in the cases of Vitamins A, D, and E, international units (IU.) The acronym USP on the label means standards established by U.S. Pharmacopeia. Don’t buy anything past its expiration date: vitamins lose potency over time, especially in hot and humid climate. Multivitamins are classified by the United Nations’ authority on food standards as food and sold without a prescription, but that doesn’t mean you shouldn’t treat them with the same caution and respect you use with other pills you take. Long before the birth of Christ, Egyptian physicians came up with a novel cure for night blindness: slabs of cooked beef liver placed over the afflicted persontms eyes. As bizarre as this treatment may sound, it wasn’t too far off the mark. Beef liver is an excellent source of Vitamin A or retinol, known to play a critical role in vision; night blindness is one of the earliest signs of a Vitamin A deficiency. It wasn’t until the eighteenth century, however, that a scientist first proved that it was a substance a particular food that produced curative effects, and that that substance could be given independently of the food. In one of the first clinical experiments in the history of medicine, Scottish physician James Lind showed that the ascorbic acid in citrus fruits prevented scurvy, a disease affecting collagen synthesis. In 1911, the Polish biochemist Casimir Funk postulated the existence of essential nutrients which he called vital amines, later shortened to vitamins. He became the first scientist to isolate a vitamin, nicotinic acid (also called niacin or vitamin B3). Dr. Albert Szent-Gyorgy earned the Nobel Prize in Medicine in 1937 for the discovery of Vitamin C.
The first multivitamin, made from vegetable and fruit extracts, was marketed by the Nutrilite Company in 1934. Today the nutritional supplement and multivitamin industry are among the fastest growing, are the most popular nutritional supplements, with annual revenues of around $20 billion. The term multivitamin is something of a misnomer, since the supplements generally contain minerals as well. A vitamin is a chemical compound the body cannot synthesize for itself but which is necessary in small amounts in order for the body to functions optimally. Multivitamins should be stored in a cool, dry place and kept far away from children. Vitamin C (ascorbic acid): A water-soluble vitamin that plays an important role in the absorption of iron and essential for the formation of collagen in bones, cartilage, muscle, and blood vessels. A Vitamin C deficiency causes scurvy. Vitamin B1 (thiamine): Essential to a wide variety of body functions including electrolyte channels in and out of nerve cells, multiple enzyme processes and carbohydrate metabolism. A Vitamin B-1 deficiency causes beriberi. Vitamin B-2 (riboflavin): Essential for normal cell function, growth, and energy production. Vitamin B-3 (niacin, nicotinic acid, niacinamide.) A Vitamin B-3 deficiency causes pellagra. Vitamin B-6 (pyridoxine): Essential for the synthesis of the neurotransmitters serotonin and norepinephrine as well as for the formation of myelin, the insulation coating nerve sheaths. Vitamin B-9 (folic acid): A folic acid deficiency causes anemia. Vitamin B-12: Necessary for DNA synthesis; also important in helping to maintain healthy nerve cells and red blood cells. Vitamin B-5 (pantothenate): Necessary for the breakdown of carbohydrates, proteins, and fats. Biotin: Important to the metabolism of amino acids and carbohydrates; essential in the formation of fatty acid and glucose by the body. A biotin deficiency causes skin rash, loss of hair, high blood levels of cholesterol, and heart problems. Vitamin A (retinol): Vitamin A is essential to a great variety of physiological processes within the body, most notably vision and cellular growth. In amounts greatly exceeding the recommended daily allowance, Vitamin A can be toxic. Vitamin D: Maintains healthy blood levels of calcium and phosphorus. A Vitamin D deficiency causes rickets and osteomalacia. Vitamin K : a factor in normal blood clotting. A Vitamin K deficiency causes bleeding that’s difficult to control. Multivitamins also generally contain the following minerals in trace amounts: potassium iodide, cupric, selenomethionine, borate, zinc, calcium, magnesium, chromium, manganese, molybdenum, betacarotene, and iron. The proportions of these ingredients vary with the formulation. Multivitamin manufacturers tend to segment their market by consumer life stage and, to a lesser degree, lifestyle choice. There are children’s multivitamins, multivitamins for active adults, multivitamins for less active adults, multivitamins for age 50+, multivitamins for vegetarians “ and so on. A multivitamin designed for a woman over 50 will not have the same composition as a multivitamin designed for a woman of 30: it will contain less iron, for example “ because a post-menopausal woman’s iron requirements are less than those of a woman who’s menstruating regularly “ and it may contain higher levels of zinc and Vitamin B-12. 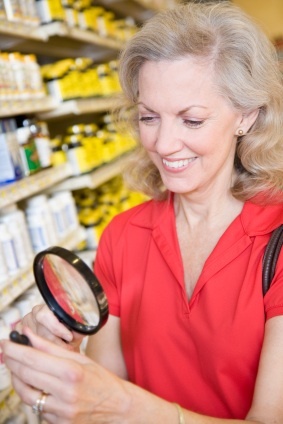 Multivitamins formulated for different consumer sectors reflect these kinds of differences. 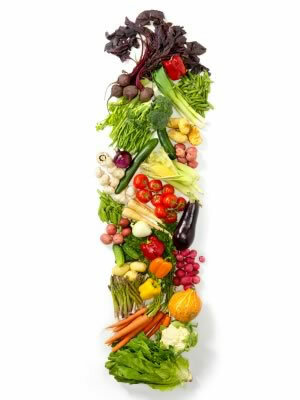 The amount of vitamins an individual requires on a daily basis will be determined by her metabolic needs. A guesstimate comes from weighing biometric factors like height, weight, age, gender and physical activity. Averages for each consumer segment a particular multivitamin variety is marketed to determine the exact composition of ingredients in the supplement. Optimally a multivitamin should contain 100% of the Recommended Daily Amount (RDA) of each ingredient for the person who is taking it. The scientific community has widely divergent views as to whether the regular use of multivitamins have a demonstrable effect on health status. 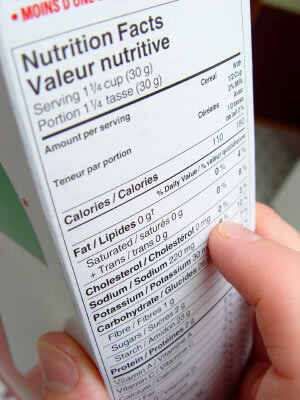 A 2002 report released by the Council for Responsible Nutrition (CRN) reviewed ten years worth of scientific investigation into the health benefits of multivitamins and other selected nutritional supplements, concluding that they have an important role to play in maintaining good health since even a healthy dietary intake may fall well short of the RDA for many nutrients. But a longitudinal health study released in 2009 concluded just the opposite. As part of the government-funded Women’s Health Initiative research effort, physicians from around the nation tracked the health status of 161,808 women. Forty-two percent of these women took multivitamins regularly. At the end of eight years, researchers compared the rates of breast cancer, colon cancer, heart attack, stroke, blood clots and mortality between the two groups and concluded there were no significant differences. The findings of this study were published in the February, 2009 issue of the Archives of Internal Medicine. One of the great benefits of multivitamins are their convenience. The truth is that even those of us who know better don’t always eat healthily. We start out each day with the best of dietary intentions, but around two o’clock in the afternoon when our energy is low, to a lot of us that box of cookies looks better than that apple. A multivitamin supplement at least ensures that however far you stray from a balanced diet, you will still get all the essential trace nutrients you need. Some people are just picky eaters. This is particularly true of children. Sure, if you were the perfect parent you would fight all those wars at the dinner table. Eat your broccoli! you’d scream at that recalcitrant child. It’s an excellent source of the vitamins K, C, and A! But ˜fess up: sometimes isn’t it just easier to let it go, safe in the knowledge that they’ll be getting those vitamins from those Flintstones gummies you slipped them this morning? Nutrient deficiencies of particular concern to the elderly are iron, calcium, magnesium and zinc; b-vitamins like B-12 and folate, and vitamin D. Anemia is common among adults aged 85 and older, and as much as one-third of it has no underlying pathogenic basis but merely reflects inadequate dietary intake of iron. Calcium both lowers blood pressure and reduces the risk of osteoporosis, a disease of the bones that lowers bone density thereby increasing the likelihood of fracture. The absorption of B-12 from the intestinal tract is compromised in older adults because the level of acid in the stomach falls; B-12 deficiencies are associated with anemia and other blood-cell disorders, neurological disorders, and elevated risk factors for coronary heart disease. Additionally, many of the medications prescribed most often for elderly adults like corticosteroids, anticonvulsants, thyroid hormone, antibiotics, laxatives and diuretics, interfere with the absorption of nutrients. Daily multivitamins provide a measure of protection against these effects. Prenatal vitamins are formulated to contain the higher amounts of folic acid, iron and calcium necessary for a healthy pregnancy and optimal development of the fetus. Folic acid prevents neural tube abnormalities while iron decreases the risk of anemia. Additional calcium helps keep the mother-to-be’s teeth and bones healthy while the baby’s teeth and bones are developing. Some research seems to suggest that multivitamins during pregnancy may also decrease the risk of low birth weight. Vegetarians and vegans. Iron may be a problem for those who don’t eat meat, but if you make your food choices carefully, you may not need to supplement your diet with a multivitamin. Smokers. Research indicates that smoking depletes Vitamin C. Smokers therefore may need to supplement their Vitamin C intake. Vitamin C may improve circulation and provide some measure of protection against obstructive lung disease in smokers. Heavy Alcohol Consumers. Chronic alcohol abuse leads to a myriad of nutritional and vitamin deficiencies, particularly in the B complex. Thiamine and folic acid are often prescribed as part of alcohol withdrawal treatment. A good deal of research in recent years has been devoted to exploring the dark side of popping vitamins. Problems arise from the belief that if 100% of the recommended daily amount of a vitamin is good, then 200% of the recommended daily amount of that vitamin is even better. This is not a problem with water-soluble vitamins like the B complex and ascorbic acid: whatever your body does not need will merely be excreted in your urine. But it can present a hazard with fat-soluble vitamins like Vitamin A and Vitamin D which your body stores for some period of time, presenting the possibility that toxic levels may be reached. In fact many multivitamin manufacturers intentionally overestimate the dosage of their vitamin components, by as much as 50%, citing the need to extend the product’s shelf life. The symptoms of Vitamin A overdose include hydrocephalus, severe headaches, vomiting, fatigue and constipation while symptoms of Vitamin D overdose include nausea, vomiting and loss of appetite. Prolonged Vitamin D toxicity results in the deposit of calcium crystals in the body’s soft tissues that can cause irreversible harm to your kidneys, heart and lungs. Most synthetic vitamins are now manufactured in China, the same people who gave us poisoned pet food and toxic toothpaste. While no accusations of similar wrong doing have ever been made against the Chinese vitamin manufacturing industry, it is worth keeping in mind that industry manufacturing standards are very different in China than they are in the United States. The United States does not require country-of-origin labels on multivitamins but if this is a concern, you may want to stick with organic multivitamins made in the USA. Multivitamins are widely available without prescription in supermarkets, pharmacies, health food stores and specialty dietary supplement stores as well as online. In a recent round of multivitamin product testing, ConsumerLab.com found that nearly half of the supplements it tested had either much more or much less of the essential nutrients listed on the label or was contaminated with toxic substances such as lead. The cost of the product bore no relation to how pure ConsumerLab.com found it: two of the most expensive multivitamins, The Greatest Vitamin in the World and Eniva Vibe priced at almost $40 per bottle, failed to meet their standards. ConsumerLab.com’s advice? Stick with familiar names like One-A-Day and Centrum which cost under $10 for a bottle of 100 pills. A healthy mind resides in a healthy body. To keep the body fit and healthy we add supplements and nutrients to our regular diet. The supplements not only help us to stay active but also provide the energy required to perform various physical and mental activities. A perfect diet should consist of all the five basic nutrients-Carbohydrates, minerals, vitamins, fats and proteins. Various vitamins help with the different functions of the body. Choline is a vitamin, which is similar to B-vitamins, in fact it is the latest addition to the family of B-Vitamins. Choline is a nutrient, which has been a subject of research for the last 150 years. It was officially added to the criteria of B-Vitamins around 1930 when a group of scientists found out that a substance present in the tissues of the human liver was capable of preventing a fat upsurge. This substance was named Choline due to its functionality. Later on, it was discovered that not just the liver but also every cell of the human being contained Choline. Choline is a dietary constituent, which helps in better functioning and creation of new cell membranes. This is similar to Vitamin–B and is very effective in both humans and animals. Choline is produced naturally in the human body, but not in sufficient quantity. In order to maintain a balance between the production and consumption of Choline you must take additional Choline as supplements either in your normal diet or as a pill. Choline has three Methyl groups attached to it, which make it trimethylated. Methyls enable the smooth functioning of cells. The circulation of these components within the body has a great impact on mental health and cell development. Its fat restricting quality helps to transport the fat-based and the water based substances throughout the body. It is due to the presence of Choline that waste products flow in and out of the cells. Choline not only supports Methyl group activity but also performs other functions such as managing the activities of the nervous system, maintaining cell membranes and controlling chronic inflammation. Nerves form the biggest network in the human body. They transmit messages from the brain to various parts and vice versa. The contact between the nerves and the muscles is initiated by a special chemical called acetylcholine. This works as a transmitter, which sends and receives messages amid the muscles and the nerves. Due to the presence of this ingredient, Choline is believed to help in the improvement of the neuro-muscular condition in Alzheimer’s patients. To some extent, Choline helps to overcome fits and epilepsy if the supplement is taken in the correct quantity regularly, as prescribed by the doctor. The brain controls the whole body. It is connected to various parts via nerves, veins and cell membranes. Cell membranes are mostly made up of fats. If the fat becomes excessive the flexibility and functioning are interrupted. Phosphatidylcholine and sphingomyelin are the two important constituents of the membranes that require Choline supply. Usually people with any kind of brain disease are prescribed limited doses of Choline. We live a fast life where one does not have time to stop and eat healthy food every day. Those quick bites and fast foods do not have nutritious value and can cause inflammation, acidity and many other discomforts. Not just minor problems can be ignored, they lead to many other major diseases or aggravate the present illness. Choline or ingredients in Choline help to control this inflammation and associated problems. Regular doses not just cure the malady but also prevent it from repeating. Soybeans in any form and beetroots are the best sources of Choline for vegetarians. Non-vegetarians can choose from fried beef liver and ground beef. Eggs are a common and major source of Choline, which can be had by both vegetarians and non-vegetarians. About 500mg of Choline per day is recommended for an average adult. A few Choline supplements may cause body odor but this can be avoided if Lecithin is taken along with the dose. For children the doses are recommended as per their age and weight. Choline has extensive benefits and functions that enhance the performance of various parts of the body. However, the symptoms of the deficiency of Choline are yet to be identified clearly. Just vitamin supplements and nutrients are not enough to cover up Choline deficiency. This component is responsible for healthy liver functioning and normal activities of the other parts of the body. If avoided or taken inadequately Choline deficiency can lead to liver disorders and malfunction. Fatty acids and substitutes will be deposited in the liver and cell membranes, which could lead to grave consequences if left untreated. Researchers have proved that patients with nerve disorders, liver malfunctioning and brain related diseases that are treated with Choline get healthier and better with regular doses of the supplement. Choline controls high blood levels of the molecule Homocysteine, which prevents the smooth function of the heart. It breaks up the deposits of Homocysteine and allows it to flow free in the body. A slight deficiency of Choline can be identified by a few symptoms such as sleeplessness, fatigue, frequent memory loss, concentrated urine and nervous disparity. Extreme deficiency symptoms can range anywhere from poor growth, liver dysfunction, infertility, anemia, respiratory problems, impaired bone formation and more. Malfunctioning of any single part can affect the other parts in due course, which can lead to fatal consequences. The liver is the first part of the body where a Choline deficiency will manifest. If this problem is treated in time, it can save you from multiple negative outcomes. When the Choline level decreases, there will be a drop in the blood’s levels of lipoprotein (VLDL-very low density lipoprotein). This is a fatty molecule, which helps in carrying the fat from the liver to other parts of the body. The deficiency of Choline can cause unevenness of other fats in the blood, which are called Triglycerides. Infants in the age group of 0-12 months require around 125-150 mg of Choline whereas children above 1 year and below 8 years require 200-250mg of Choline. As they grow up boys and men require more of this nutrient compared to girls and women. While boys of age group 9-18 years require 375-550mg, girls of the same age group can manage with just 375-450mg of Choline. Choline is closely associated with Folic acid. Deficiency of Choline could lead to the deficiency of the later. Therefore, it is very important for pregnant women and lactating mothers to have enough Choline in their diets. A pregnant woman would need at least 450mg of the nutrient to support the growth of herself and the fetus in her womb. The milk secreted by a lactating mother contains all the nutrients required for the growth of the new born. Such mothers should see that they maintain a balance in their diet and include all nutrients in their food. They require at least 550mg of Choline. An excess of anything is dangerous. While deficiencies of certain nutrients create an imbalance in the body, a surplus of Choline can cause variations in blood pressure, restlessness, diarrhea or foul body odor. Any medicine becomes a toxin if you overdose. The suggested upper limit dosage for an average adult per day is just 3.5 grams. If that dosage exceeds up to 5-10 grams in any form, it might lead to dizziness, restlessness, nausea or low blood pressure. A further increase in the dosage, say more than 10-15 grams a day would lead to heavy perspiration, vomiting, salivation and fetid body smell. If you experience any of these symptoms, contact your doctor immediately. What leads to Choline Deficiency? Poor nutrition, imbalance in the diet, previous history of liver disease, prolonged medication and intake of Choline content itself cause Choline deficiency. Alongwith Choline 3 other nutrients that act as supporting factors are amino acid methionine, Folic acid and Vitamin B-3. Poor intake of any of these can also lead to a drop in the level of Choline. A mild slump does not have adverse effects but an extended deficiency can cause serious ailments. Those who have undergone bypass surgery, kidney transplants and any kind of liver surgery have to be careful about the level of Choline in their body. Methotrexate is a drug used to treat people suffering from cancer, psoriasis and arthritis. If you are taking this medication try to keep your Choline levels balanced or else it could add more to your existing woes. While a healthy body itself demands regular attention, what does an unhealthy body say? Regular Choline intake becomes a mandatory activity for those suffering from hyperhomocysteineimia, brain disorders, cardio vascular problems, memory loss, Neuro muscular disorders, anemia and high blood pressure. Newborns are prone to autism, respiratory problems and other nervous disorders if pregnant mothers do not take sufficient Choline. Parkinson’s disease, epilepsy and Alzheimer’s are three prominent diseases, which are caused by a malfunctioning brain, which could be due to an insufficient supply of Choline. SAM cycle is a chemical cycle, which keeps the body in working condition. Sufficiency of Choline is as important as the adequacy of other nutrients such as Folate, Vitamin B-3, 12 and Amino acids. All these elements constitute the SAM cycle. The molecules present in this cycle are constantly exchanging chemical elements, which are also called Methyl Groups. The role of Choline here is to keep the Methyl Groups functioning properly. Thus all the nutrients are interconnected and required to function together to achieve balance. After egg yolks, soybeans are the second richest supplement of Choline. Soybeans in any form can be considered as a rich supplement of Choline. The level of the nutrients greatly depends upon the diet taken by the people of a particular location. The diets followed by the people of the US do not have much Choline in it. Much of it is derived from emulsifiers. One of the commonly used emulsifiers is lecithin or phosphytidylcholine. This ingredient is made of soybeans. Parenteral nutrition, which includes an Amino acid glucose solution, does not contain sufficient Choline. This solution is used to treat human beings to maintain their plasma Choline level. People who undergo this treatment are provided with parenteral nutrition therapy, which includes 1 to 1.7 mmol of Choline contained phospholipids. Just as a deficiency of Choline causes various imbalances in the human body, excesses of it also create problems. A Choline deficient diet leads to a drop in the phosphatidylcholine concentrations and plasma Choline levels. This happens when a person is exposed to strenuous and stressful activities such as long distance running, hectic physical work or any other vigorous labor. To evaluate the Choline nutritional status in a person he or she is fed Choline deficient food for about a week. After this time, the serum alanine aminotransferase activity is measured to calculate the status. 1. Soy Lecithin Granules are a wonderful Choline supplement. You can also get these supplements in the form of tablets or capsules. You can get them anywhere in your neighbourhood stores or on the internet. Just make sure that you store them in the refrigerator, or else they will go stale quickly and lose their nutritional value. 2. DMAE is another supplement, which helps in increasing concentration power, memory and the retention capacity of the brain. Although the benefits of DMAE are the same as Choline this works quicker. Studies are being conducted to explore the possibilities of treating ADHD and other brain disorders using DMAE. A deficiency of Choline is not common, but in certain cases, it can cause organ dysfunctions as discussed earlier. Remember that those who are under Niacin treatment require additional doses of Choline, as the medication tends to drain the nutrients from your body. The recommended Choline supplementary per day is 1 gram. If the dose is increased, it creates adverse affects on your body. What if you got a supplement, which could help you to increase your potential as a sportsman? Something, which could help you cover long distances in a short time. Wouldn’t it be great if you could pop a pill or wolf down some granules to gain additional strength to win a match? Well Choline is the answer to all of your questions. This essential nutrient is present in vegetables, fruits, nuts, soybeans, milk and egg yolks. An athlete or a Marathon runner who has adequate Choline in his diet can cover more miles in a smaller amount of time compared to others. Nerve cells use Choline to produce a chemical called acetylcholine. This enables the cells to interact with each other and establish a close-knit network. Acetylcholine is the main ingredient, which controls the commands given by the brain. A sportsman can run only when this chemical stimulates the brain cells to order the muscles to do so. The nerves thrust small amounts of acetylcholine in the intersections between the nerves and the muscles. When this chemical touches the muscle cell, it is ignited and starts the process of contraction and expansion. Likewise, every cell of the leg muscle is commanded by acetylcholine to keep working. So intake of supplements rich in choline certainly helps to boost your level of performance on the tracks. By the time you complete a marathon, remember the choline levels in your body drops to zero. To avoid this Choline supplements should be taken just before the event. Just 2 grams of Choline before the race would increase the level of efficiency. While Choline’s efficiency is proved in athletes’ performances, a study was carried out on basketball players. They were put on Choline supplements for a week. Although most of them felt refreshed, no special influence was observed on their leaping ability. Although they did not feel tired after their practices and experienced less fatigue before the matches, nothing abnormal was noticed. Yes, two of the team members did experience diarrhea, which is one of the most common side effects of Choline intake. Swimmers do a great many workouts. After every workout of about half an hour it is observed that the blood’s Choline level drops down to 22% to 32 %. The Choline intake boosts it up to 27% to 33%. All the statistics collected are based on the experiments conducted on the sportsmen of different categories. A Choline supplement is required for every sportsman as the level of this nutrient drops after vigorous and strenuous exercise and workouts. Not only do physical exercises have an impact on Cholin consumption, but also, people who are involved in mental jobs require choline supplements for additional energy. Though choline is present in ample amounts in the food we eat on a daily basis, supplements are essential when you exert more stress on your body. Lecithin is a good source of Choline. Athletes consume this as a part of their diet to improve their performance. Research carried out long ago states that Lecithin is a good source of Choline whereas the present day scientists prove this wrong. Only 4% Choline is present in Lecithin, which does not make it a rich source. Choline increases your potential to run long races but is not effective in short races. So an extra dosage of Choline will not improve your performance when playing indoor games or swimming regular distances. Choline is effective not only in human beings but also has a few effects on animals. It increases nerve impulse transmission, cell signaling and Lipid or fat transport. More or less the symptoms and side effects in animals are similar to that of humans. Choline plays an important role in the cognitive growth and brain development in children. Shortly after the birth of a child, the new mother is recommended extra doses of Choline so that it can be passed to the infant through the breast milk. For growing kids Choline supplements act as energy boosters, which enhance mental and physical performance. As per research, only 1 out of every 10 American gets sufficient Choline. As per the studies conducted by scientists, the presence of homocysteine in the blood aggravates the chances of cardiovascular attacks. The study conducted on rats concluded that the deficiency of Choline in the regular diet increases chances of liver cancer and sensitivity to carcinogenic chemicals. Choline supplements prevent pregnancy and post delivery complications in both the mother and the infant. Due to insufficient Folic acid and Choline, fetal disorders and birth defects could take place in unborn babies. Another experiment conducted on kids of various age groups reveals that the ones including a regular intake of Choline in their diet developed sharp memory and cognitive skills. For an overall healthy development of a child, Choline in any form should be given daily as a part of the diet. Choline bitratrate and Choline chloride are the two supplements, which are rich in Choline. Fat soluble vitamins are stored in the body’s fatty tissue and liver. These vitamins are used over a period of time unlike water soluble vitamins that need to be replenished daily. Individuals with an inability to digest fats, as in intestinal disorders or persons with reduced consumption because of low fat diets, may have deficiencies in fat soluble vitamins, which include A, D, E and K. Excesses occur in the body as fat soluble vitamins are not as readily eliminated. A healthy well-balanced diet containing foods from all four food groups is the way to ensure the body is obtaining adequate amounts of these vitamins. Vitamin A is essential for fighting infection, maintaining healthy body tissues, and contributes to bone and teeth development. In reproduction, vitamin A in retinal form, binds to the nucleus of cells and assists with beginning and ending gene transcription, making it essential in neonatal development and ongoing growth and repair. Vitamin A, in the form of retinal, binds to the rods and cones of the eye, permitting light adaptation and the ability to see color. Vitamin A as retinoic acid is a successful acne treatment as it shrinks sebaceous glands and inhibits secretions. In the form of isotretinoin, vitamin A decreases the number of skin bacteria and the bacterial nutrient sebum. Infants require 1,300 to 1,650 IU daily depending on age. Children require 1,000 to 2.000 IU daily depending on age. Women require 2,300 IU of vitamin A daily. Men require 3,000 IU of vitamin A daily. Getting less than the minimal daily requirements is a concern for children in third world countries. Another form of deficiency occurs in persons who eat low fat diets, conditions that prevent fat absorption, or those subjected to chronic oxidants like cigarette smoke. 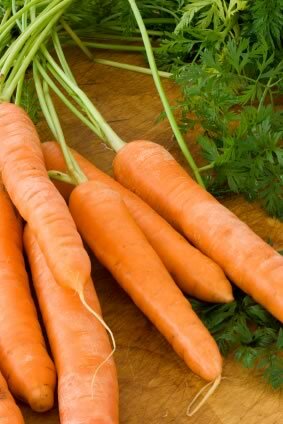 Inadequate amounts of vitamin A cause a preventable form of blindness as keratin deposits and builds up on the cornea, causing erosion and destruction. Deficiencies of this vitamin lead to impaired growth and development, inability to fight infection, malfunction of the gastric, urinary, and respiratory systems due to impaired tissue development, night blindness and dry, thickened and peeling skin. Excessive vitamin A intake results in anorexia, bone and joint pain, changes in mental state, drying and peeling skin and lips, yellow/orange discolored skin, hair loss, vomiting and weakness. 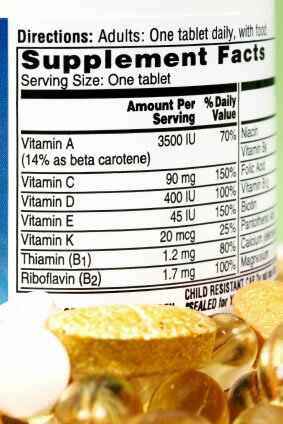 Taking vitamin A in amounts exceeding the daily requirement, results in birth defects in unborn children. Tips: Though vitamin A is not destroyed by cooking, freezing foods could result in a 10-20% loss. Whether absorbed and synthesized by the skin or ingested, vitamin D is absorbed by the liver through the blood and transformed into calcidiol. Once converted, vitamin D is transported to the kidneys and the immune system through the blood. In the kidneys, vitamin D is transformed again and recirculated in the blood where it binds to receptor sites throughout the body. The skin only synthesizes the necessary amount of the vitamin, after which it is no longer manufactured, so overdoses cannot occur in this manner. In the blood, vitamin D regulates calcium and phosphorus, thus contributing to bone and teeth formation. Vitamin D also aids in white blood cell production and determination. The vitamin increases infection fighting white cell activity and contributes to the chemical white cells excrete in combating bacteria, fungus and viruses. Some research studies suggest that increasing daily intake to 1000 IU daily has a dramatic effect in preventing cancer. Because of vitamin D’s wide range of abilities, persons found to have low levels overall had higher mortality rates and premature aging due to body malfunction. Infants to adults require 200 IU of vitamin D daily. Elderly adults require 400 IU daily. Persons getting less than the minimal daily requirements experience irritability, weakness, malabsorption of calcium and phosphorus causing poorly developed or deformed bones and teeth in a condition known as rickets. Adults may experience osteomalacia, where bones thin, become fragile and are accompanied by muscle weakness. Ingesting excessive amounts of vitamin D results in abnormal kidney function, anorexia, anxiety, excessive urination and thirst, excessive blood calcium levels, nausea, vomiting and weakness. 15 minutes of exposure to sunlight daily allows the skin to synthesize enough vitamin D for 24 hours. However, vitaimin D deficiencies are still noted in third world countries where there is an abundance of sunshine. Individuals are advised to consume meats or fortified milk and foods to ensure an adequate intake. 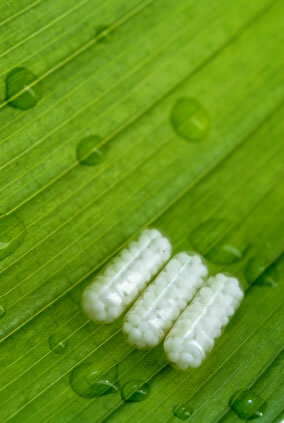 Tocotrienols are specifically found in barley and other grains, nuts, saw palmetto, wheat germ and vegetable oils. Vitamin E is essential for maintaining healthy cell membranes as it is believed to act as an antioxidant which minimizes aging effects and disease processes brought about by free radicals on the body. Free radicals are molecules with an unpaired electron. These combine with oxygen to cause damaging effects commonly associated with cardiovascular disease and cancer. Tocotrienols have been researched and show promise in protecting brain cells against damage, inhibiting cancer and decreasing blood cholesterol. The unsaturated chain increases absorption into fatty tissue making it more effective as a protectant. Vitamin E in the lining of blood vessel walls helps minimize build up of harmful plagues and blood clots. In addition, early research suggests that vitamin E may play a part in preventing age related macular degeneration in the elderly. Infants require 6.75 to 10 IU of vitamin E daily. Children require 9 to 10 IU of vitamin E daily. Adults require 22 IU of vitamin E daily. Inadequate amounts of vitamin E result in edema, muscle weakness and neurological deficits related to poor nerve conduction. Anemia occurs as a result of red blood cell damage. Excessive doses cause breast enlargement, blurred vision, headaches, flu-like symptoms, hemorrhagic strokes and prolonged bleeding times. Administering the vitamin to low birth weight infants may result in colitis and sepsis. Pregnant women are advised against taking vitamin E supplements as they cause congenital heart defects in unborn children. The vitamin allows the liver to synthesize clotting factors ( II, VII, IX and X), which are vital in preventing bleeding abnormalities. Vitamin K is used as an antidote for coumadin and hemorrhagic rat poisons. Topically, the vitamin is prescribed to diminish post surgical bruising, broken capillaries, rosacea and dark under eye circles. As infants are not born with the intestinal bacteria necessary to form vitamin K, an injectible form is administered. There is a correlation between vitamin D and K in the development of healthy teeth and bones. Ongoing research suggests that vitamin K reduces liver and prostate cancers. Newborns receive 0.5 to 1.0 mg injections of vitamin K at birth. Infants require 10 to 20 mcg of vitamin K daily. Children require 15 to 100 mcg of vitamin K daily, depending on age. Women require 90 mcg of vitamin K daily. Men require 120 mcg of vitamin K daily. Inadequate amounts of vitamin K result in prolonged bleeding times or hemorrhagic conditions. Individuals with intestinal disease are unable to manufacture vitamin K and are in need of supplementation. Prolonged use of large doses of antibiotics annihilate the bacteria necessary to produce vitamin K.
Vitamin K3 has been banned from OTC supplements as ingestion results in allergic reactions, anemia and destruction of liver cells. 1 tablespoon of parsley contains 153% of the FDA’s recommended daily allowances of vitamin K.
It can be most often found in commercial supplements as D-pantothenate (D-calcium pantothenate). Dexpanthenol is considered a provitamin form of the nutrient and is the alcohol of pantothenic acid. Dexpanthenol is used in various cosmetic products and is available in topical treatments to promote wound healing. B5, or pantothenic acid is necessary for the human body’s chemical reactions that generate energy from food. In addition to serving an important role in releasing energy from foods, B5 in the form of CoA is also important for the synthesis of foods into fatty acids and cholesterol, as well as the creation of sphingosine. This fat-like molecule plays an important role in delivering chemical messages inside the body’s cells. Finally, B5, in its CoA form, is needed for the liver to safely metabolize several drugs and toxins. Because pantothenic acid is in the form of Coenzyme A in most food sources, the body has to convert it into free pantothenic acid so that it can be absorbed by the intestinal cells. This conversion takes place within the lumen of the intestine where CoA is hydrolyzed A through a series of enzymatic reactions to produce pantothenic acid which is then absorbed by passive diffusion into the intestinal cells by a sodium-dependent transport system. The Institute of Medicine at the National Academy of Sciences set adequate intake guidelines for B5 in 1998. According to those guidelines, recommended average daily intakes of pantothenic acid should range from 5 to 6 mg. per day in adults. In addition, women who are pregnant should get 6 mg. each day. Women who are breast-feeding should ensure a daily intake of 7 mg. daily. Except in the case of extreme malnutrition, most people get adequate amounts of B5 or panthothenic acid through a healthy, balanced diet. The symptoms of vitamin B5 deficiency are much like other B vitamin deficiencies. Because of low Coenzyme A levels there is low energy production, which can in turn causes fatigue, irritability and general apathy. In addition a deficiency in panththenic acid may also result in increased insulin sensitivity, or hypoglycemia. Approximately 85 percent of pantothenic acid found in food sources is present in the form of coenzyme A. There are several food sources that are rich in vitamin B5 including kidney, liver, avocado, yogurt, and sunflower seeds. Other foods such as fish and shellfish, chicken, milk, sweet potato, mushrooms, legumes, avocado and sweet potatoes are also excellent sources of the nutrient. Although whole grains are also a good source of pantothenic acid; up to 75 percent of the nutrient can be lost in processing since it is largely found in the outer components of raw grains. Likewise, because it is a water-soluble nutrient, up to 50 percent of pantothenic acid in food is lost in processing and cooking. In addition to occurring naturally in many foods, B5 is frequently found in combination with the other B vitamins in commercially available B Complex formulas, which also include thiamin (B1), riboflavin (B2), Niacin (B3), Pyridoxine (B6), cyanocobalamin (B12), and folic acid. Finally, researchers have found that the bacteria that normally colonize the colon, or large intestine, are capable of manufacturing their own pantothenic acid. Unfortunately, scientists are not yet certain if humans have the capability to absorb the pantothenic acid that is produced by their own intestinal bacteria. Even so, a specialized process for the uptake of pantothenic acid has been identified within cultured cells taken from the colon’s lining. This suggests that humans may indeed be able to absorb the pantothenic acid produced by their intestinal bacteria. The therapeutic and medicinal uses for pantothenic acid are numerous and varied, including treatment of acne, adrenal gland stimulation, allergies, Alzheimer’s disease, the prevention of anxiety, asthma, autism, carpel tunnel syndrome, celiac disease, chronic fatigue syndrome, colitis, dandruff, depression, diaper rash, eczema, gray hair, head ache, hypoglycemia, hypotension, enhancement of immune function, prevention of infection, insomnia, lupus, multiple sclerosis, muscle cramps, muscular dystrophy, obesity, Parkinson’s disease, pink eye, PMS, poison ivy, respiratory disorders, shingles, skin disorders, vertigo, and many others maladies. Wound healing—When tested on animals, the application of a pantothenol ointment to the skin and ingestion of oral pantothenic acid has proven to accelerate the closure of skin wounds and to strengthen the resulting scar tissue. Most of the tests with these encouraging results have been conducted on animals and there is not enough data to be conclusive that the same benefits are applicable to humans. High cholesterol—A pantothenic acid derivative known as pantethine has reportedly shown a cholesterol-lowering effect. While the results of the controlled tests have been promising in the studies that have been conducted, it’s important to keep in mind that pantethine is not a dietary supplement. Rather, the body derives it from pantothenic acid. For this reason, using it to self-treat high cholesterol is not recommended without the guidance of a qualified healthcare provider. Acne—A study from 1995, published by Dr. Lit-Hung Leung, provided evidence that high doses of B5 decreased pore size and helped to resolve acne. The study was conducted on Asian adults who received anywhere from 10 to 20 grams of pantothenic acid daily. This high dose is equivalent of up to 100,000 times the recommended daily amount; 80 percent of the daily dose was orally ingested, while 20 percent was applied topically. ADHD—Confliciting evidence exists as to whether or not pantothenic acid in concert with large doses of other vitamins is effective for the treatment of ADHD or Attention deficit-hyperactivity disorder. Generally, pantothenic acid is not known to be a toxic substance for humans. Moderate doses of pantothenic acid do not appear to cause side effects in any notable way. However, if an allergy exists, B5 or pantothenic acid supplements should not be added to the diet. On the other hand, while the recommended daily allowance does not appear to cause any problems, large doses of pantothenic acid taken orally have been known to cause diarrhea. In addition, when using dexpanthenol topically, skin irritation has been an often-cited reaction. This is particularly notable because dexpanthenol is a common ingredient in a number of cosmetic products. There has been some anecdotal findings of increased bleeding time with dexpanthenol causing a concern for a risk of bleeding when the supplement is combined with other substances that also indicate a risk for bleeding. In fact, there have been a number of cases of bleeding reported when the despanthenol was used in conjunction with Ginkgo biloba, as well as a few cases when combine with garlic and saw palmetto. For people who suffer from hemophilia, there is certainly increased risk when taking dexpanthenol. Finally, women taking oral contraceptives containing estrogen and progestin, may need to increase their daily intake of B5 because of an increased need for the nutrient when estrogen and progestin are being taken. Sitocalciferol or Vitamin D5 is one of six different forms of vitamin D, which are numbered from D2 to D7. All six of these forms are based upon calcitrol, and will be converted into calcitrol by the body when they are consumed. They differ in their origin, however, with vitamin D2 and D3 being naturally available. Vitamin D5 is a synthetically produced form of the vitamin. Vitamin D is a fat-soluble chemical. It is only found naturally in a few types of food, but in some countries including the US, vitamin D is added to other foods such as milk. Stores of vitamin D can be built up in the body. Having too much or too little vitamin D in the body can be harmful. Maintaining the optimum levels of this vitamin is very important in order to stay healthy. Vitamin D has a particularly strong effect on the bones. If the body does not get enough vitamin D then the bones can become weak and can grow abnormally. If the level of vitamin D in the body become too high, and reaches toxic concentrations, then the bones can be weakened. The most common forms of vitamin D are D2 and D3. Vitamin D2 is produced by plants and can therefore be obtained from food. Vitamin D3 is produced in the body. When the skin is exposed to the ultraviolet B or UVB rays in sunlight, the synthesis of vitamin D3 in stimulated in the skin. People can also obtain both D2 and D3 from foods that have been artificially fortified with vitamin D.
Vitamin D5 is an artificially produced analog of vitamin D3. An analog is a chemical that shares some structural properties with another chemical, but which can behave differently from it. Vitamin D5 is structurally similar to vitamin D3, and both can be used by the body in similar ways. The D5 form is less toxic than the D3 analog, however, which makes vitamin D5 a better option for medicinal uses of vitamin D.
The 1α-Hydroxyvitamin D5 form of the vitamin was designed and produced by a team of scientists at the University of Illinois, Chicago and has since been studied in a number of experiments to test its safety and efficacy as a treatment for various cancers, particularly cancers of the breast, prostate and colon. Vitamin D is a prohormone rather than being a true vitamin. When it is consumed, the body metabolizes it into a number of chemicals that are hormones. Hormones are chemical signals that are used by the body to control various functions. Vitamin D5 is an analog of vitamin D3. They have very similar structures, but vitamin D5 has been slightly modified. Just a few of the atoms have been changed. Many different analogs of vitamin D3 were designed by scientists searching for a less toxic version of the vitamin that could be used for medicinal purposes without causing problems with toxicity. Over 1500 of these analogs were produced. The available forms of vitamin D are now classified into six primary forms, named D2, D3, D4, D5, D6 and D7. Each form has a slightly different molecular structure, although they are all still basically the same molecule, and have similar functions in the body. The least toxic of these forms is vitamin D5, which has now undergone a number of experiments to test its efficacy and safety for the prevention and treatment of cancer. Vitamin D is essential for the maintenance of adequate levels of phosphorus and calcium in the blood. Vitamin D helps the body to absorb calcium from the intestine. Both phosphorous and calcium are required for the development and maintenance of strong bones. Vitamin D may also be able to help to protect the body against high blood pressure, cancer, osteoperosis and certain autoimmune diseases, although the scientific evidence for these functions is less clear-cut that that which shows the importance of vitamin D for the skeleton. The vitamin D which is obtained from food or which is produced in the skin following stimulation by the sunlight is an inactive chemical. It must be converted through two hydroxylation reactions into its active forms in order to be used. The first reaction occurs in the liver, where the vitamin D is converted into calcidol. Next, the second reaction, which takes place in the kidneys, converts this calcidol into calcitrol. The most active metabolite of vitamin D is calcitrol. Conversion of vitamin D into calcitrol is regulated according to how much calcium and phosphorus is in the blood, the concentration of calcitrol that is already present in the body, and by the parathyroid hormone. This regulation ensures that the calcitrol levels are maintained at the correct level, as long as there is enough vitamin D available from which to produce more calcitrol when it is needed. The most important function of vitamin D in the body is in the maintenance of calcium and phosphorus levels, and so for ensuring there is proper bone growth and development. There are also some other important functions played by this vitamin in the body. It is involved in the working of the immune system, neuromuscular function, and in reducing inflammation. Vitamin D also plays a role, along with other chemicals, in the modulation of a number of genes that regulate cell division, growth, differentiation and death. Since most of the vitamin D that is consumed in food, fortified foods and supplements, are in the form of vitamin D2 and D3, these are the most important forms for humans. Vitamin D5, however, may have some important uses, particularly in medicine. Vitamin D5 can also perform similar functions to other versions of the vitamin, when it is consumed. Vitamin D deficiencies are one of the more common vitamin deficiencies, since the levels of this chemical in food are so low. The chances of suffering a deficiency in vitamin D are related not only to a poor diet, and therefore to poverty, but to certain lifestyle choices and to the climate and latitude at which people live. This is because people do not only obtain vitamin D ready made from their food, but can synthesize it themselves. This synthesis relies on sunlight in order to work, however, therefore exposure to the sun is an important guard against vitamin D deficiencies. The most well known effect of a deficiency in vitamin D is rickets, which is a condition in which skeletal abnormalities and deformities develop in children. Adults who are not obtaining enough vitamin D can also suffer from weaknesses in their bones, and their muscles may also become weakened. This condition is called osteomalacia. Without a sufficient intake of vitamin D, there will not be enough calcium or phosphate in the blood to ensure that bone mineralization and development occurs properly. This will lead to the bones becoming too thin, weak and brittle. They can also become misshapen and deformed. Certain groups of people are at a higher risk of developing a vitamin D deficiency than others. People who are elderly or obese are at an increased risk of vitamin D deficiency, as are infants who have been fed exclusively on breast milk, which contains only low levels of vitamin D, and anyone who has experienced very limited exposure to the sun. Some diseases can also increase the risk of a vitamin D deficiency. These are conditions that affect the absorption of fats, such as cystic fibrosis, or disorders that affect the digestive system, such as Crohn’s disease and inflammatory bowel disease. A vitamin D deficiency can be treated by increasing the uptake of vitamin D through dietary supplements, or, if possible, increasing exposure to sunlight. An excess of vitamin D in the body can be toxic, but D5 is the least toxic form of this vitamin. It is therefore the most suitable for medicinal uses, since it is less likely to cause adverse side effects than the other types of vitamin D. If vitamin D, in any form, does build up to toxic levels, however, it can be very harmful. Vitamin D toxicity can result in a condition called hypocalcaemia that can lead to bone loss. In the most serious cases of hypocalcaemia, the damage can be very serious and may even lead to life threatening side effects. The earliest symptoms of toxicity may include nausea and vomiting. Anorexia, which presents as a loss of weight and appetite may also occur. This can be followed by excess thirst and urination, fatigue, weakness, headache, a metallic taste, dry mouth, tinnitus or ringing ears, vertigo and unsteadiness. The functioning of the kidneys can be impaired, and calcium may be deposited in them and around the organs of the rest of the body. This deposition is known as metastatic calcification. Hypercalcaemia is treated by stopping further intake of calcium or vitamin D, and gradually reducing the calcium levels in the body. This must be done under medical supervision, in order to ensure that the calcium levels can be monitored. In some cases, it may also be necessary for the condition to be treated with corticosteroids and acidification of the urine. Research into the potential of vitamin D for the prevention and treatment of cancer was stimulated by epidemiological studies that showed people who had high levels of vitamin D in their diet, or who had high levels of sunlight-induced formation of vitamin D in their skins, were less likely to develop cancer. An epidemiological study is one that looks at what is happening in real populations of people rather than setting up an experiment or testing a particular treatment. In studies that were conducted in vitro, that is in isolated cells in a laboratory, Vitamin D3 was found to be effective at preventing cancer. However, there was the problem of toxicity. The doses that were high enough to reduce the chances of a cell developing cancer were also so high that they would be toxic to patients. This meant that vitamin D3 treatment for the prevention of cancer was not possible. In order to be effective, vitamin D3 treatment would require doses that were hundreds of times greater than those that are normal in the body. The use of vitamin D as a treatment was limited by the toxic effects that it can have when it is present at high concentrations in the body. In order to test the efficacy of vitamin D against cancer, and to have a prospect of using it as a safe treatment if it was found to be effective, it was first necessary to find a safer alternative form of vitamin D, one which would not have the same toxic effects as vitamins D2 and D3. Vitamin D5 was developed as a possible safe analog of the vitamin for medical use. It is a low calcemic analog of vitamin D. D5 is, in fact, the least toxic form of this vitamin and therefore the safest for medicinal use. A number of studies have been carried out to examine the possible therapeutic uses of the D5 form of vitamin D. Despite the research that has been conducted, vitamin D5 is not yet being used by doctors. Further research is necessary before it can be determined whether vitamin D5 is a suitable treatment. It is the differences between vitamin D5 and the more common forms of the vitamin, D2 and D3 that make D5 a suitable candidate for clinical trials. The reactions which these different forms undergo in the body have different consequences that make D2 and D3 unsuitable for therapeutic use against cancer. The products of the reactions that take place when vitamins D2 and D3 enter the body are hypercalcemic. This means that they are very effective at raising the levels of calcium in the blood serum, and D2 and D3 are therefore not a suitable medication for cancer prevention or treatment. They are very effective at playing their role in maintaining the appropriate levels of calcium in the body, as long as they are only present in low concentrations. Vitamin D5, however, can exist in the body at much higher concentrations without causing any problems with toxicity. Studies have been carried out that have looked at both the therapeutic and preventative potentials of vitamin D5. Trials have been conducted in animals to determine whether vitamin D5 can affect the growth of cancer cells, or prevent animals from developing cancers. D5 has been found to be effective in both of these types of animal-based study. Work has also been begun which will lead to studies of vitamin D5 in humans. The initial studies have been carried out to determine the doses that should be used in future clinical trials in order to avoid toxicity and adverse reactions. These studies investigated the toxicity of vitamin D5 in animals. The scientific evidence points towards an influence of vitamin D on the risk of developing cancer. It appears to be particularly effective in the prevention of colon cancer, and to have some effect in the prevention of breast and prostate cancer. Results from studies of other types of cancer have been more variable and inconclusive. There is as yet no definitive scientific proof that vitamin D can be effective as a treatment against cancer, or that a high vitamin D intake can help to reduce the risks of developing cancer. Further research is required in order to determine the efficacy of vitamin D against cancer. Vitamin D2 and D3 are the most common forms of vitamin D in nature. Vitamin D is still a rare vitamin, even in these forms, and it is only found at low levels in food. The vitamin D that is found in plants is in the form of vitamin D2, while some vitamin D3 can be obtained from certain animal-based products. The best sources of vitamin D are fish and fish liver oil. Cheese, egg yolks and beef liver also contain some vitamin D3. All of these food sources contain the vitamin in its D3 form. Vitamin D2 can be obtained at fairly high levels from some mushrooms. The amount of vitamin D2 that is available in mushrooms can be increased by growing them under an ultraviolet light. Vitamin D does not have to be obtained from food. It can also be manufactured in the skin, and this is the method through which most people obtain a sufficient amount of vitamin D to remain healthy. Anyone who does not get enough exposure to sunlight, either through remaining indoors or living in a part of the world that does not receive enough sunshine, is at risk of a vitamin D deficiency. For example, the region that is north of the line of 42 degrees of latitude will not be receiving enough sunlight during the winter months, between November and February to produce adequate amounts of vitamin D during these months. The amount of sun exposure that is necessary is fairly low. Although there is no consensus on the amount of time that needs to be spent in the sun to ensure sufficient production of vitamin D, it is probably enough in most climates to spend between 5 and 30 minutes out of doors between the hours of 10 am and 3 pm, with the face, legs, arms or back exposed to the light, twice a week. Excessive exposure to the sun should be avoided, since it can lead to sunburn and an increased risk of skin cancer. A vitamin D deficiency can be avoided or treated by increasing the amount of vitamin D that is consumed in food, increasing exposure to sunlight, or by taking vitamin D supplements. A traditional treatment for a deficiency of vitamin D was to take cod liver oil, since this is a rich source of vitamin D3. Vitamin D5 is not a naturally occurring form of vitamin D. It can be artificially produced, however, and it was designed as a safer form of the vitamin for medicinal use. Vitamin D5 or sitocalciferol is manufactured from the chemical 7-Dehydrositosterol. Both the D2 and D3 forms of the vitamin are available in dietary supplements and as fortified foods, although D3 is the most commonly used form. Vitamin D2 and D3 supplements are available in different forms including tablets and injections. Different strengths are available to treat severe deficiencies and to provide an additional source of vitamin D for long term supplementation in people who are at risk of developing a deficiency. In addition to naturally occurring vitamin D, some food products are artificially enriched with vitamin D in order to ensure that people are getting enough of this scarce vitamin in their diets. Food that has been fortified with vitamin D is available in the US and in numerous other countries. Most milk that is sold in the US has been fortified with vitamin D.
A cup of fortified milk contains 100 IU (International Units) of vitamin D per cup. This is equivalent to 50% of the adequate daily intake of vitamin D for people who are between 14 and 50 years of age. Other dairy products such as cheese or ice cream are not usually fortified. Other products that may be fortified with vitamin D in the US are breakfast cereals, cereal flours, margarine, orange juice and yogurt. The amount of vitamin D that can be added to a food product is legally restricted in order to prevent anyone suffering from toxic levels of the vitamin. Most people do not need to take vitamin D supplements, but those who are at an elevated risk of a vitamin D deficiency may benefit from a dietary supplement of the vitamin. People who are elderly, and women who are pregnant or breastfeeding, should consider taking vitamin D supplements. A dose of 10 micrograms per day is recommended by the UK Food Standards Agency. People who are in one of the other risk groups may also benefit from vitamin D supplementation.